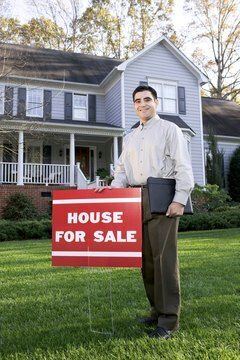 Is It Possible To Sell My House & Rent it Back? Renting back your home can prevent you from moving twice. A rent-back agreement might allow you to sell your home while remaining in it, but it is not without risks. Realize that once you sell your home, you are not in the position to set the terms of the rental agreement. It is essential that you outline the details of the agreement in writing before closing on the sale. 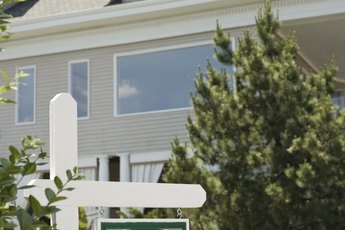 You might want to rent back your home after selling it for a variety of reasons. If your children are in school, you might not want to move out before the end of the school year. If you are moving to a new city, you might need to stay in your home until you can quit your job with notice. Some people are unable to purchase or rent a new home until completing the sale on their old one. Regardless of your reason for needing to stay in the home after it sells, make sure the prospective buyers understand that you want to rent the home after its sale so they can make an informed decision about the purchase. Whether you plan on a long-term rental or want to stay in the home for a month or two until your new home is ready, you should stipulate the length of the rental. Without this, you might find yourself with nowhere to live if the buyer changes his mind. How much you pay for rent is up to the buyer. While you might be able to negotiate the amount, remember the buyer has to pay the expenses for his new home and another place to live while he waits for you to move. Plan on paying enough for him to pay the mortgage, taxes and insurance each month. For a very short-term lease -- less than one month -- the buyer might specify a daily amount. Even after you sell your home, you are responsible for damages if you are renting the property. Work with the buyer to determine an appropriate security deposit. Take pictures of your home's interior and exterior to show any existing damage to prevent the new owner from taking your security deposit to pay for the repairs. Include copies of these photos with the rental agreement. Other points to consider when writing the rental agreement include insurance, utilities and maintenance. Be clear on who is responsible for maintaining the home's insurance, and, according to Realtor.com, check with your insurance company to make sure your agreement complies with its requirements to ensure proper coverage of the home and contents. Asking an attorney to look over any documents between you and the buyer can ensure you are protected if something goes wrong. Can You Negotiate a Rental Lease Buyout in the Sale of a House? Can I Lease a House With a Mortgage on It? Can I Sell My Home If I Have an Existing Home Equity Loan? Can I Put My Husband on My Lease if I Just Got Married?